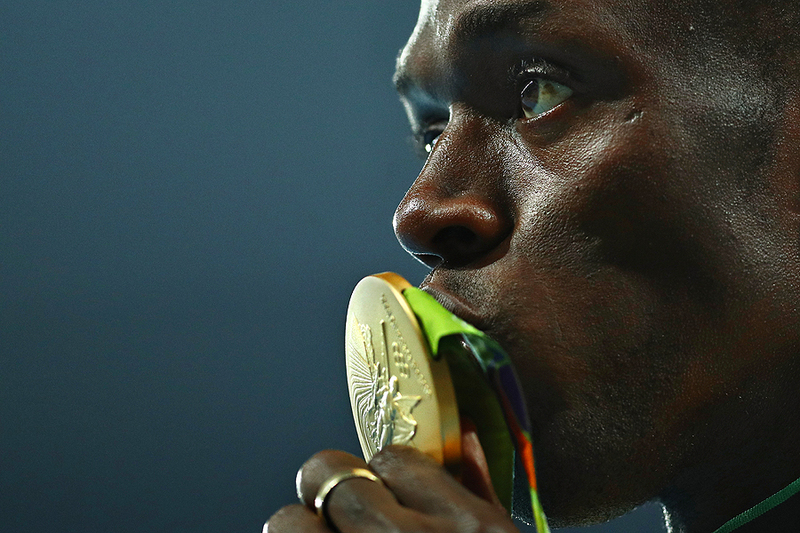 "Usain Bolt of Jamaica kisses his gold medal on the podium during the medal ceremony for the Mens 100 metres on Day 10 of the Rio 2016 Olympic Games at the Olympic Stadium on August 15, 2016 in Rio de Janeiro, Brazil." Success is defined many ways, by many different people. For most, being happy and healthy is their main goal in life - and I can only agree that this is the most important thing that extends to my friends and family too. But being driven with a competitive spirit, I also understand the desire of achieving a shiny object like an Olympic gold medal to help show the world that you're apart of the best team on the globe. It also doesn't hurt to help quiet your biggest critic, which for most motivated people, is themselves. After covering the Rio Olympics it really interested me about the athletes. I'm not sure why now, maybe because of out intense schedule of non-stop high caliber sports action, but I become obsessed with those winning. What do athletes sacrifice in order to reach the top of their sport? What are they like away from the competition arena? What have they done to get there? Did they come from nothing? Or did they have everything handed to them? These simple things make one become a fan - or not - and make one think if the medal made them even more competitive and their family happy. Having the humble opportunity to document so many successes, and failures, on the biggest stage there is for sports was an amazingly overwhelming experience. So much goes into these games happening on both ends of the spectrum to make it come together in the end for all involved. I learned a lot and it opened up my eyes to even more of the wonderful world of sports. An incredible experience with the Getty Images team that I know I'll be apart of in just a few short years again. 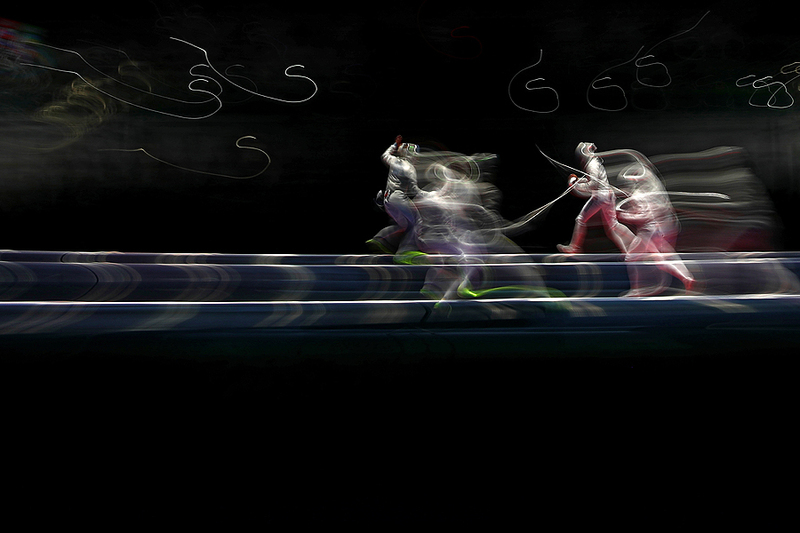 "Olga Kharlan of Ukraine (L) and Yana Egorian of Russia compete during the Women's Individual Sabre Semifinal on Day 3 of the Rio 2016 Olympic Games at Carioca Arena 3 on August 8, 2016 in Rio de Janeiro, Brazil." Going into the second week of the Rio 2016 Olympic Games and we are still not close to the end. Long days, little sleep and lots of pictures has summed up the games for every photographer documenting the chase for gold here in Brazil. Easily one of the most challenging, yet rewarding, assignments I've ever gotten to be apart of so far in my short career. It's been a great learning experience and absolutely fantastic opportunity to work alongside the best we have at Getty Images. Powerful moments and pure art coming out of these games despite all the challenges. It will take me a long time to dig through the more than two weeks of images once we all get back home, so I thought I post one of my favorites so far while I had a second of time.